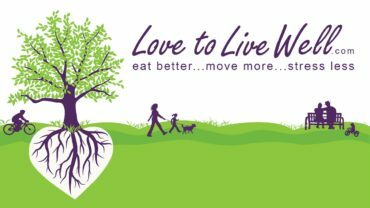 Choose Love to Live Well for your Wellness Programs. Whether you are a large employer, small business owner, or owner of a non-profit organization, we offer simple solutions to help your employees focus on their health & wellness thereby reducing your costs. Even if you do not offer health benefits to your employees, the health of your employees still impacts you through workplace injury, absenteeism, and presenteeism. Ever notice your employees are physically at work, but mentally somewhere else? Then you’ve seen presenteeism at work. Whether you need comprehensive wellness programs or just some targeted outreach to your employees on preventing obesity, diabetes, hypertension, or heart disease, we can help with evidence-based interventions tailored to your employees. Churches, temples, and worship centers offer a perfect place to begin rethinking wellness habits. Spiritual wellness is one of the 6 dimensions of wellness that leads to life balance. Often people look to their church home for support and nurturing. This is a wonderful environment to begin walking programs, healthy eating seminars, or even a full-scale health promotion program whether it’s for the employees or the congregation. Beyond employers, churches, & temples other organizations such as associations of various types (soccer, tennis, Kiwanis, Lion’s Clubs, even home owner associations & nature enthusiasts clubs) are similar in that they play a supportive role to their members. These organizations & associations can be excellent opportunities for wellness programs that enhance the lives of their members. Let us know if your organization is interested in seeing how! Email us anna@lovetolivewell.com to tell us more about your organization and what type of health promotion program you are seeking for your organization. We can show you a menu of services, then tailor a program to fit your organization’s needs.